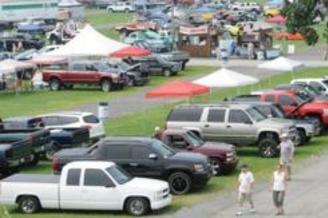 Since 1974, Carlisle Events has been hosting collector car and truck events at the massive Carlisle Fairgrounds in Carlisle, PA. These family-friendly shows feature something for everyone - including special vehicle displays, part vendors, burnout contests, beauty contests, demonstrations, stunt shows, live music, special guest appearances, industry professionals, Women's Oasis, kid's activities and even two collector car auctions, one at Spring Carlisle and the other at Fall Carlisle. Don't forget to check event schedules for downtown Carlisle events including street parties, parades and extended shop hours. This annual kick-off event features 8,100 vending spaces, car corral with 2,000 cars for sale and auction in the Carlisle Expo Center. 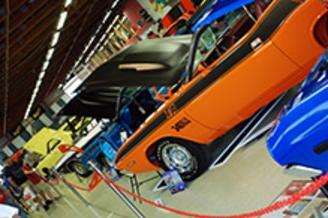 This welcome imports, domestics, kit cars, motorcycles and trucks from around the world. 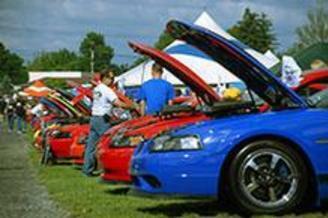 Over 3,000 Ford, Mercury and Lincoln vehicles will be on display during this family-friendly event. Experience special displays, test drives, a burnout competition, kid's activities, industry guests autocross, club gatherings, automotive flea market and great vendor selection. Plan to attend the Ford Parade in downtown Carlisle Saturday night, where you will discover over 400 Fords, Mercurys and Lincolns, a street party and extended shop and restaurant hours. 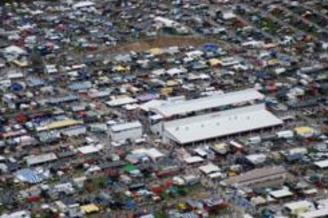 The Carlisle Chevorlet Nationals reflects the ever-growing number of enthusiasts who buy and enjoy Chevrolet products and also includes any and all makes and models produced by General Motors. Mopar-lovers will experience over 2,700 vehicles from all eras of the Chrysler brand, special displays, kids' activities, industry guests, giveaways and more at this unique event. Buckle in to one of the largest and most action-packed truck events in the world! For over 20 years this show has showcased over 2,000 lowered mini trucks, chromed out big rigs, custom vans and lifted 4x4s. Family-fun attractions include monster truck shows, monster truck rides, Kids at Carlisle Activity Center and more. 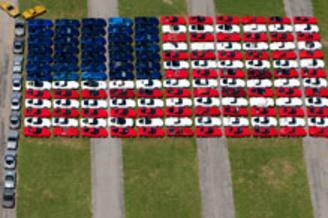 Get revved-up for the largest Corvette event in the world, showcasing more than 5,000 of these American icons. 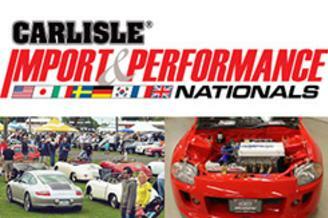 Bring your Vette for autocross, dyno testing, burnout competitions and a parade through Historic Downtown Carlisle. This annual wrap-up event features 8,100 vending spaces, car corral with 2,000 cars for sale and auction in the Carlisle Expo Center. While you are here, check out our ultimate road trip and explore all of the auto-related attractions in Cumberland Valley and the region. Use the Cumberland Valley booking engine to compare rates, see how far each hotel is from the fairgrounds, find car-friendly amenities and book your stay. 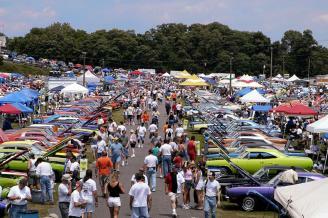 Groups: Enjoy a day or weekend of cars, parts, memorabilia, celebrity highlights and specialty events. Advance ticket purchase. Motorcoach parking.